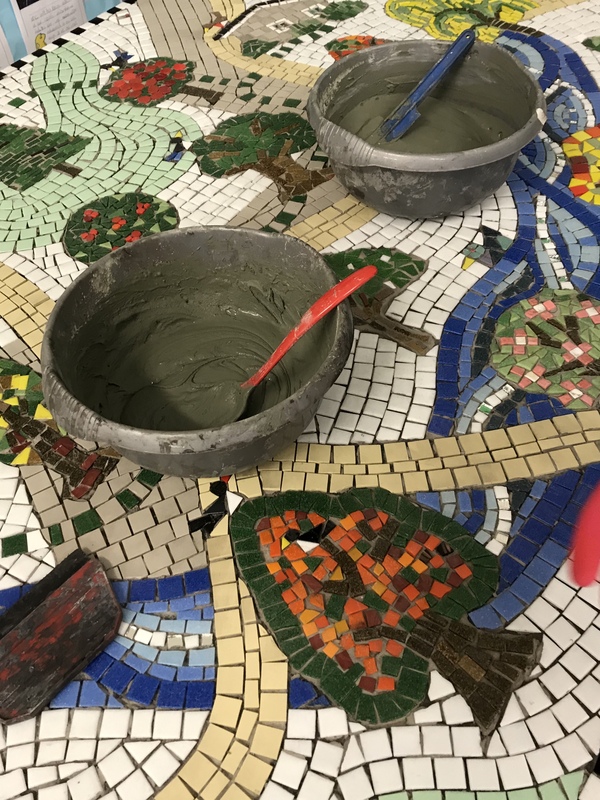 It seems a long time since the designs of Harry and Tommy from early years were chosen as the starting point for the new playground mosaic. The promised completion date was today when the school were being visited by Bishop Martin who would unveil the artwork. 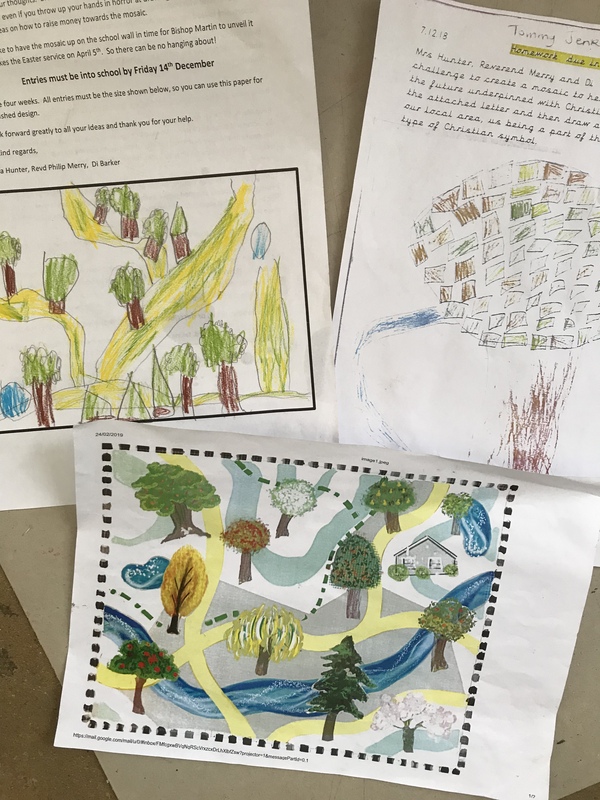 The design is a map of the village featuring notable trees and a network of paths which become a metaphor for the many paths the children may take in life. Working through early spring with the students meant indoor making with the backer board horizontal on tables. The size of the piece meant we had to carefully plan which year group had arms long enough to lay tiles in the centre of the board. The trees were made using an indirect method, temporarily glued to brown paper then reversed onto the board into a bed of cement adhesive. This method allowed the children to work with small detail without getting covered in cement. The background tiles were then laid around the trees and the whole piece grouted. Everyone in the school took part and parents and governors stopped by to lay their tiles in an after school session.